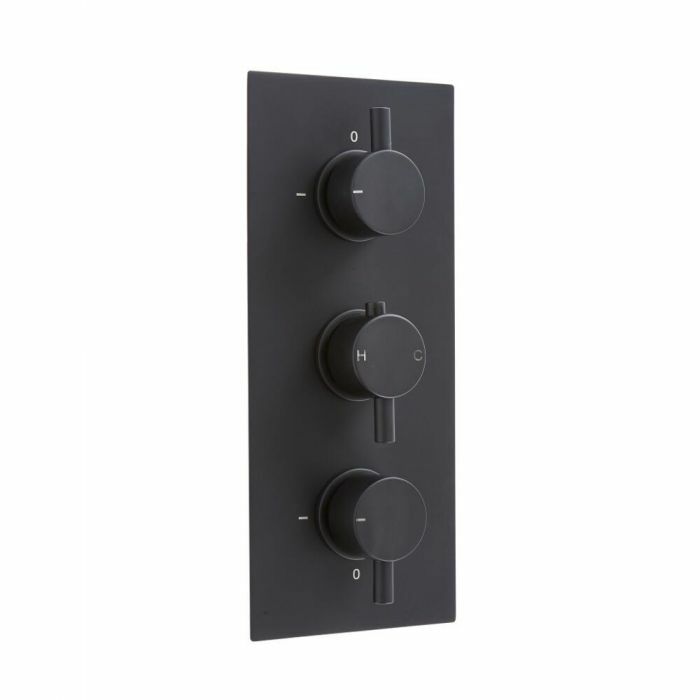 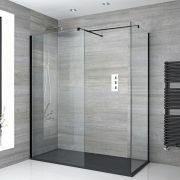 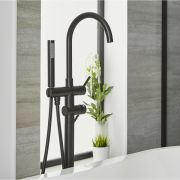 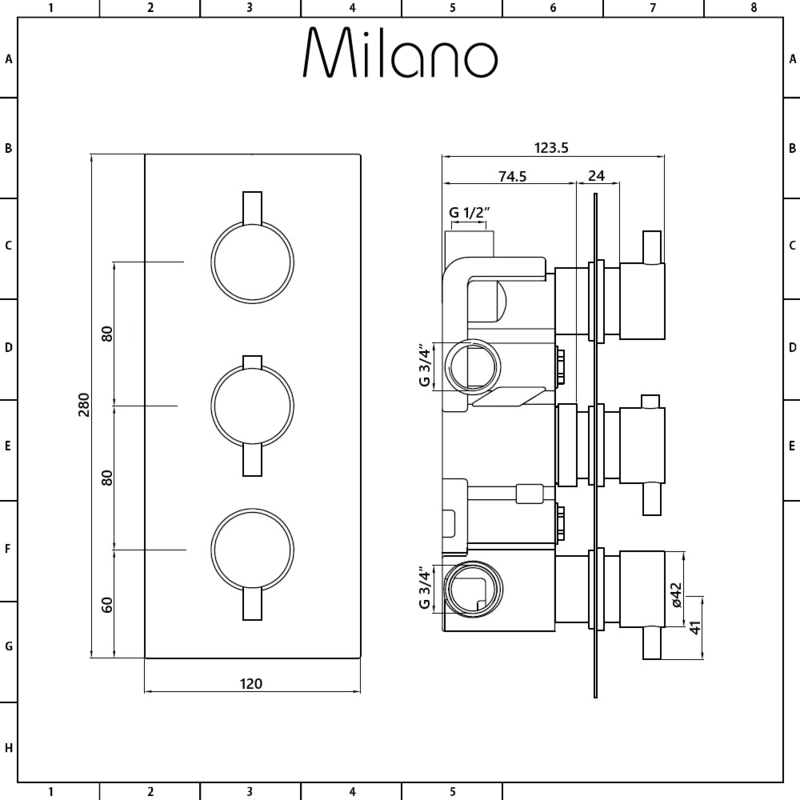 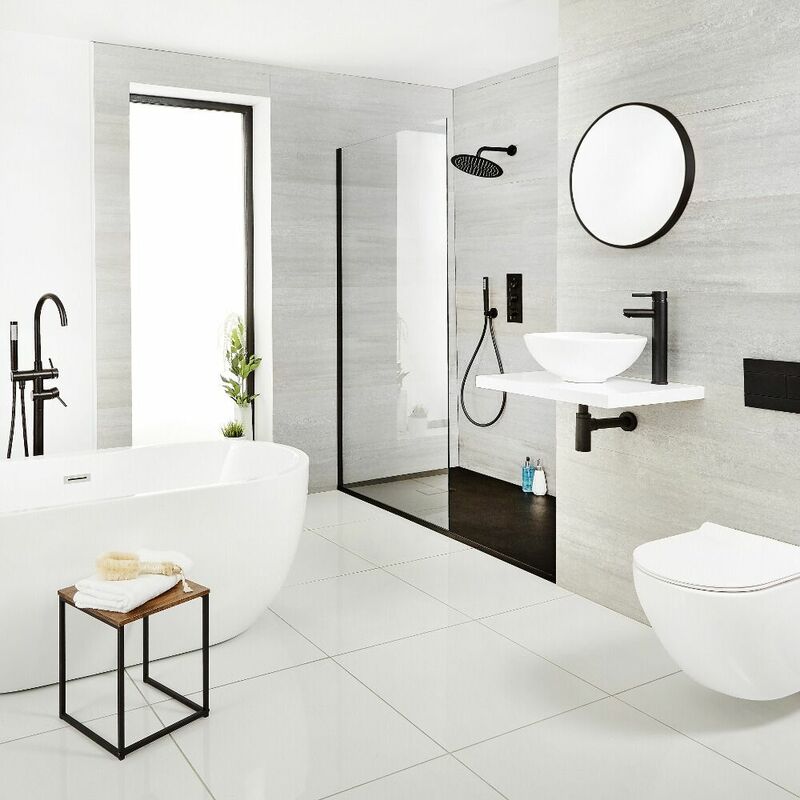 Give your bathroom an upgrade and create an on-trend designer look with the Milano Nero black triple thermostatic diverter shower valve. Made from solid brass to ensure great durability, this shower valve incorporates a diverter, so you can switch between three different outlets such as a fixed shower head, hand shower and body jets with ease. 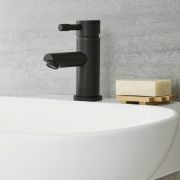 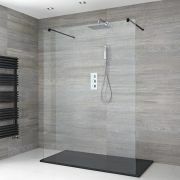 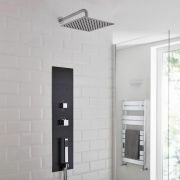 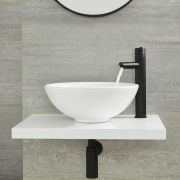 The valve features a matt black finish and a modern concealed design.